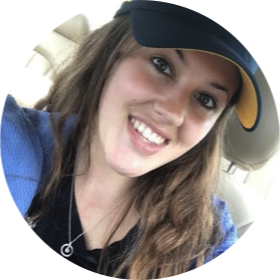 Read Kelsi's review of Blaze. 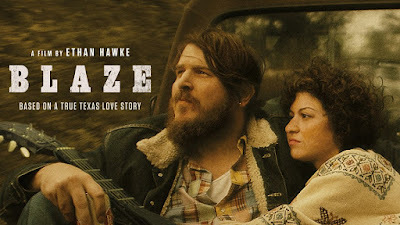 Directed by Ethan Hawke, BLAZE stars newcomer Ben Dickey as Blaze Foley, the unsung songwriting legend of the Texas outlaw music movement that spawned the likes of Merle Haggard and Willie Nelson. The film weaves together three different periods of time, braiding re-imagined versions of Blaze’s past, present and future. The different strands explore his love affair with Sybil Rosen (Alia Shawkat); his last, dark night on earth; and the impact of his songs and his death had on his fans, friends, and foes. The storyline terminates in a bittersweet ending that acknowledges Blaze's profound highs and lows, as well as the impressions he made on the people who shared his journey. BLAZE premiered at the 2018 Sundance Film Festival where Dickey’s performance won him the Special Jury Award for Achievement in Acting. Dickey stars alongside Alia Shawkat, Charlie Sexton, Josh Hamilton, Richard Linklater, Alynda Segarra, Sam Rockwell, Steve Zahn and Kris Kristofferson. Co-written by Hawke and Sybil Rosen, BLAZE is based on Rosen’s memoir Living in the Woods in a Tree: Remembering Blaze Foley. Blaze is in select theaters on September 28th, 2018. 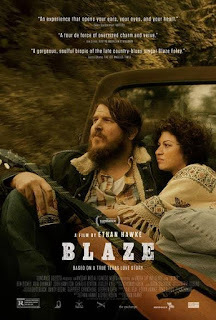 Blaze was a biopic of the life of Blaze Foley, written and directed by Ethan Hawke. Blaze Foley was an American country singer who became most popular in Austin, Texas. This movie depicted more of Blaze’s love life and his muse for so many of his songs, rather than focusing solely on the music itself. It was interesting to see how his life would unfolder after his wife, Sybil Rosen (Alia Shawkat), coerced him into following his dreams of becoming a legend. Unlike other biographies of those who become uncontrollable in the eyes of fame, Foley (Ben Dickey) did his best to stay genuine and true. We watch as those who are meant to be, come to realize that maybe they are better off without one another. It is a sad movie when things fall threw for Blaze and his life comes to an unexpected end. He was underappreciated as a singer/song-writer while he was alive. However, that would soon change after he was gone. The film unveils recreated footage of his last bar gig, in which his final songs would change the public’s view of his music forever. I enjoyed this movie and though I hadn’t heard of Blaze previously, I feel as though this film did a great job depicting who he really was. That being said, do not let the fact that you may not know who Blaze Foley is stop you from seeing this film! It was definitely unlike any other biopic I’ve seen. The story of Blaze is told from several points of view and has a lot going on all at once. But, never the less that is one of the many things that will keep you so intrigued while watching this movie. Ethan Hawke based this movie off of information from his co-writer, Sybil Rosen herself, and her memoir called Living in the Woods in a Tree: Remembering Blaze Foley.